Stargate Universe, the third incarnation of the successful Stargate series, premiered to high ratings and rave reviews this past Friday. The talented cast includes Robert Carlyle (The Full Monty), Ming-Na (ER), David Blue (Ugly Betty) and Lou Diamond Phillips (La Bamba). 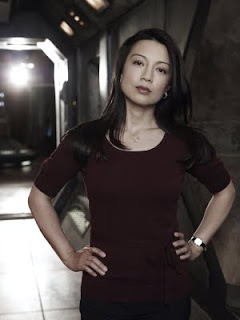 I caught up with SGU star Ming-Na recently to discuss her latest role, Twitter and finding true happiness in life. Be sure to watch Ming-Na on Stargate Universe on Friday nights at 9/8c on the SyFy channel.